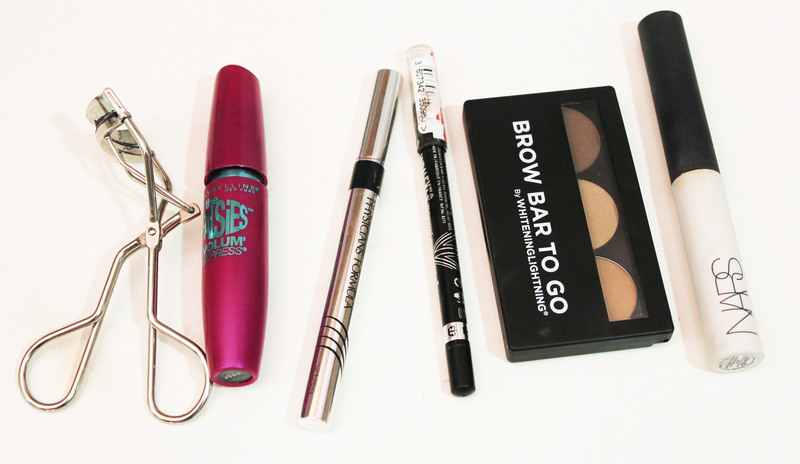 Makeup Essentials for a Mini Weekend Trip: the Lesser the Better! 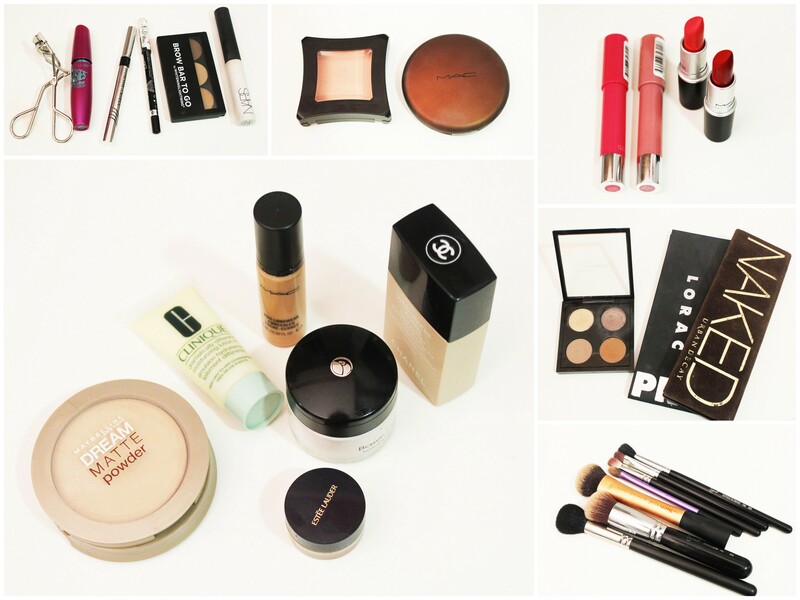 I’ve just come back from a short weekend trip from Sydney and I figured why not do a makeup travel essentials post. I usually go on mini trips a lot just for one or two nights and I really don’t like taking a ton of things with me. Just enough to fit my small makeup bag. From the photo above you might be like “that looks like a LOT of products” but some of the things here are just options and I did not take each and everything with me! So without further ado lets get started! Moisturiser: so currently I’m trying out a sample of the Clinique Dramatically Different Moisturising Lotion+ so I have a travel/sample size on me. That’s perfect because in my opinion if you have sample size products, that’s what you should be taking with you on such a short trip especially if you are trying to save some space. It’s a different case if that product doesn’t suit you or break you out…then that’s definitely a no no! 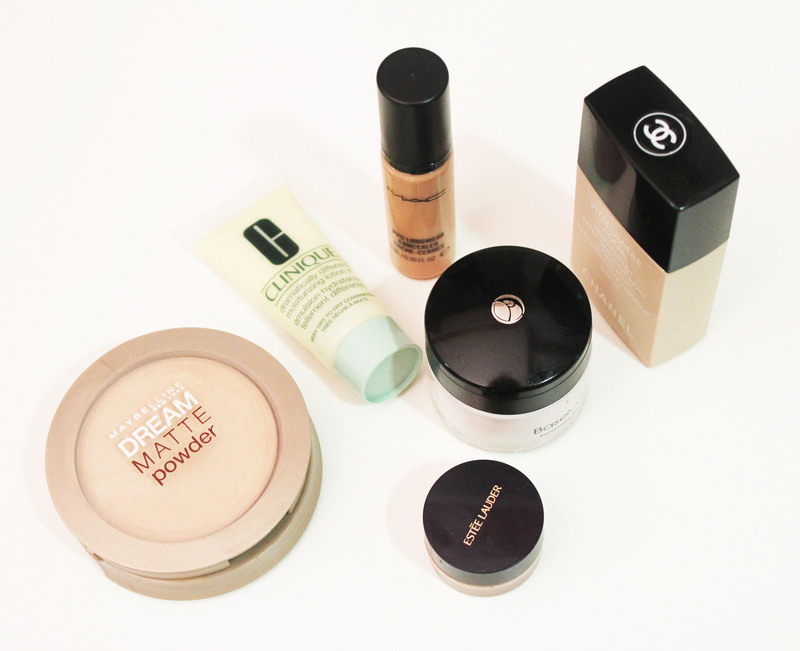 Primer: a primer is essential! Especially if you have oily skin or its summer time! Even though I have normal to dry skin, foundations don’t last on me without a primer so must take a primer! Foundation: So once again I have a sample of the Estee Lauder Double Wear foundation but another option could be foundations that have lightweight and small packaging preferably plastic like the Chanel Vitalumiere Aqua shown above. It’s a lightweight foundation, easy to apply, and you don’t even have to use a brush with it. Using the fingers works really well with this foundation. So stay away from heavy and bulky packaging! Also if you’re not to fussy about the coverage, you can go for a BB cream or tinted moisturiser. A tinted moisturiser being a 2 in 1 product saves you from taking two products. Concealer: I’m taking with me the Mac Pro Longwear concealer! I’ve got pretty bad under eye circles and this concealer is my HG! I will be posting a HG under eye concealers post soon! This concealer has a built in technology not to crease n settle into fine lines which is why I will also be using it as an eye primer. Powder: I’m just taking my Maybelline Dream Matte powder -nothing special but works for me! Brows: So I carry my Brow Bar to Go by Whitening Lightning. I really like this product n its pretty convenient to carry! Eye Primer: Eye primer is very important. I love my Nars eye primer but in this trip I just used my Mac Pro Longwear Concealer as an eye primer. Eye Liner: I’m just taking a felt tip pen liner. This one’s the Physician’s Formula lash booster. Its pretty decent but not as black as I would like it to be. The Rimmel Scandaleyes eye pencil in black is really black and I’m taking that for my waterline. I can also use it to darken my top lashline and liner. This does NOT smudge which is awesome! Eyeshadow: So I have a few options here. Definitely not taking all three palettes as shown in the photo! I usually take the UrbanDecay Naked Palette or the Lorac Pro Palette. They are both lightweight and doesn’t take up a lot of space. 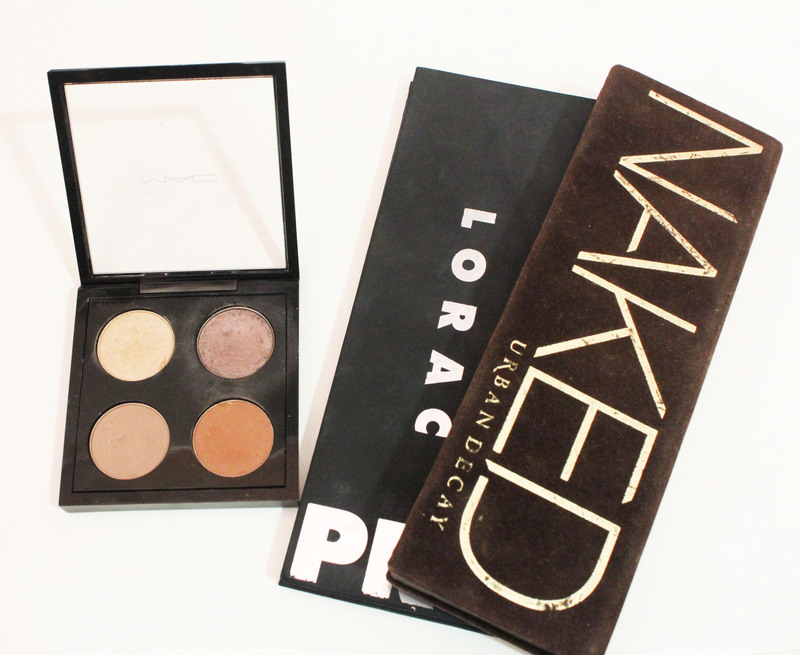 You can do both neutral everyday looks and very bold night time looks with these palettes. If I want to save even more space, I just take a mac pro quad and fill it with some basic everyday eyeshadows. Here I have Mac Ricepaper, Satin Taupe, Wedge and Saddle. Wedge is a great transition colour but it’s also really good for contouring if you have light to medium skin tone. That’s a 2 in 1 product again! 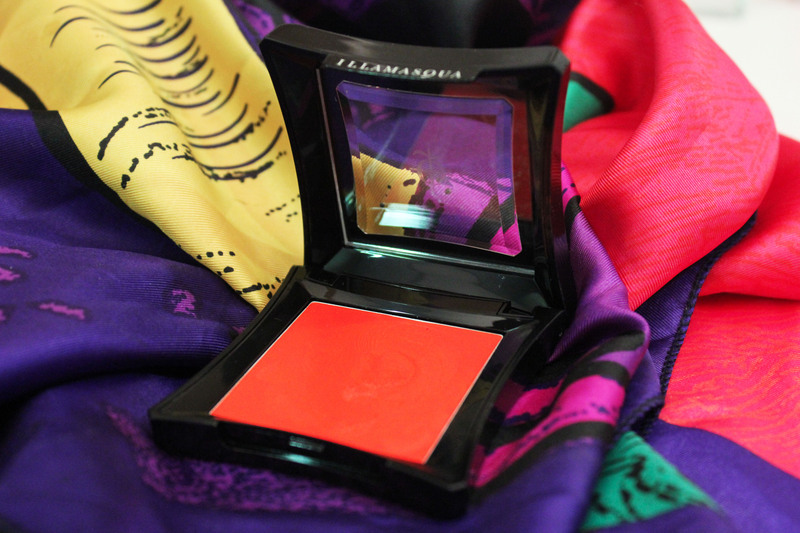 Blush: My all time favourite blush Illamasqua Lover! 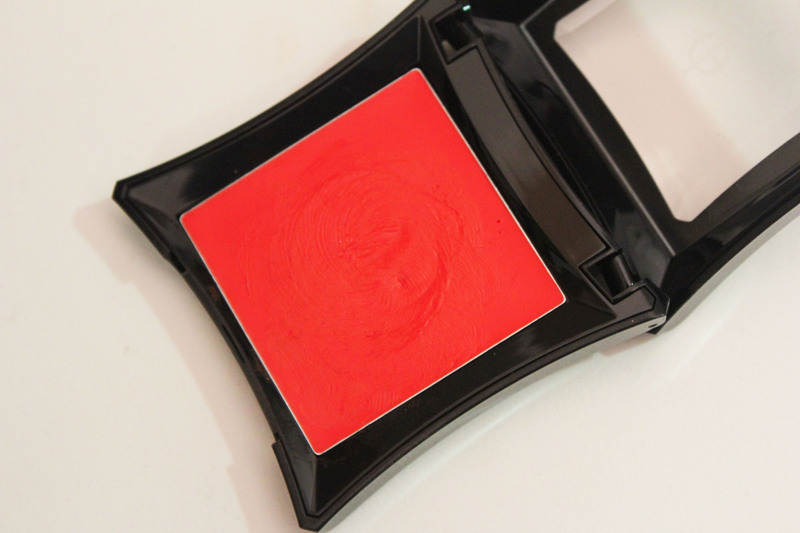 It gives a beautiful flush to my face without being to overpowering! Great for everyday! 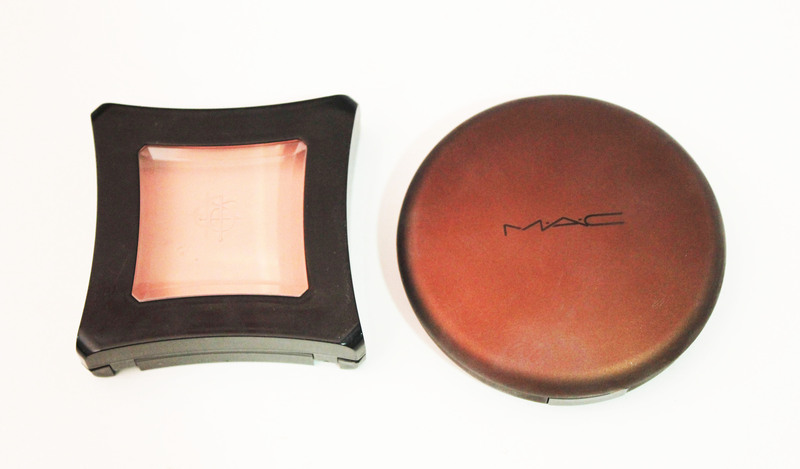 Bronzer: Mac’s Refined Golden – just another HG product, love it! And it comes with a great mirror! Highlight: This time around I skipped on taking a highlighter and used a shimmery shadow instead. 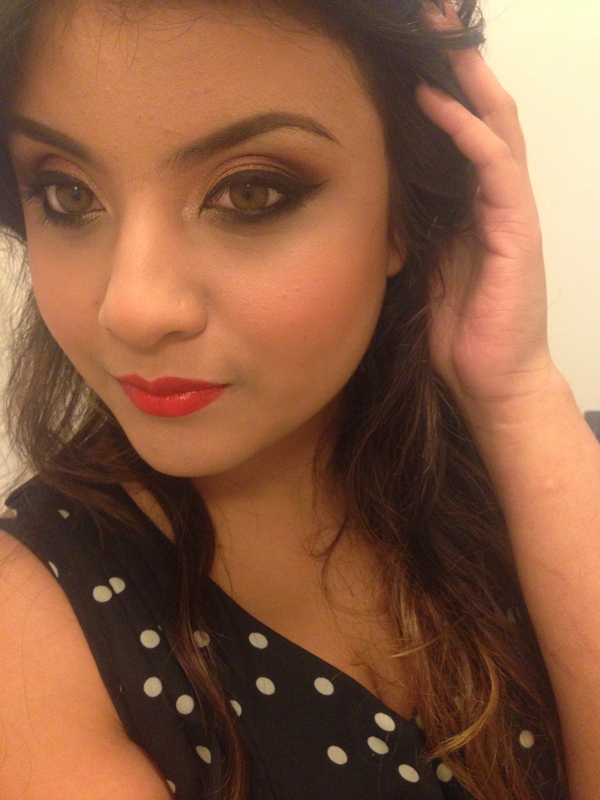 Ricepaper is great golden highlight or Urban Decay’s Virgin is a great champagne highlight ! Usually I carry a lot of lip products with me. 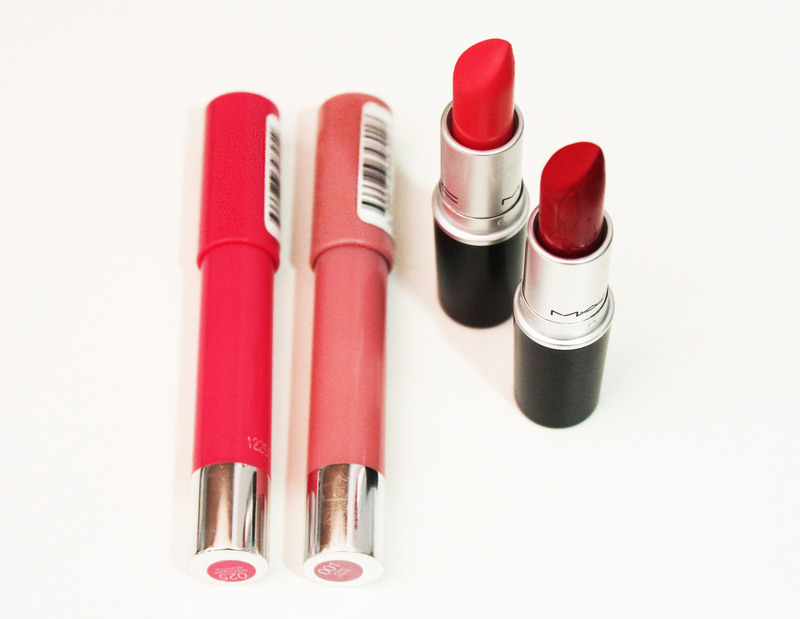 If you search through my bag you’ll find a ton of lipsticks. The Revlon balm stains are awesome on the go lip products! 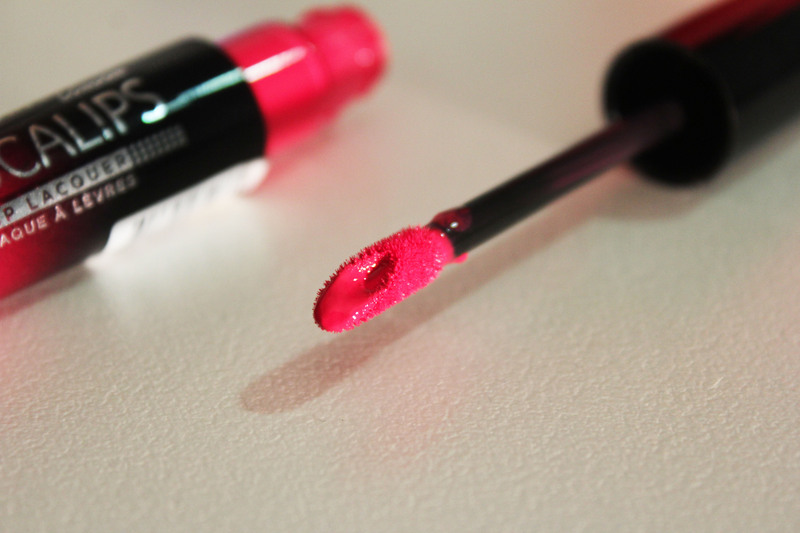 You can just carelessly slap it on your lips and you’ll still look fab! 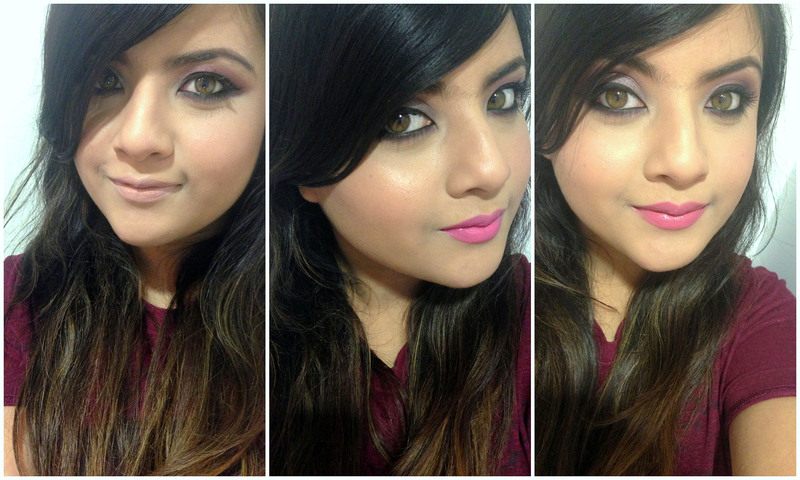 If you’re planning a night out on your trip, a bold coloured lippy can never go wrong. 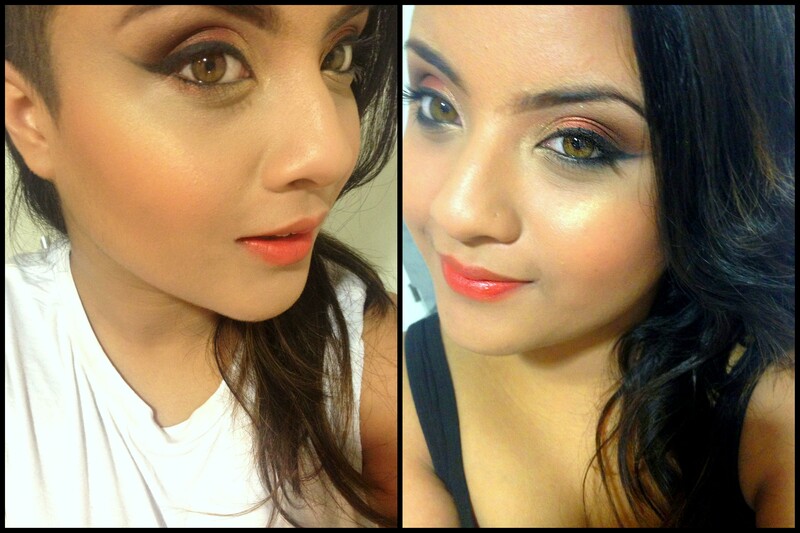 Here I’m showing you Mac’s RiRi Woo and Ablaze. They are both limited edition unfortunately but they are my favourites at the moment. 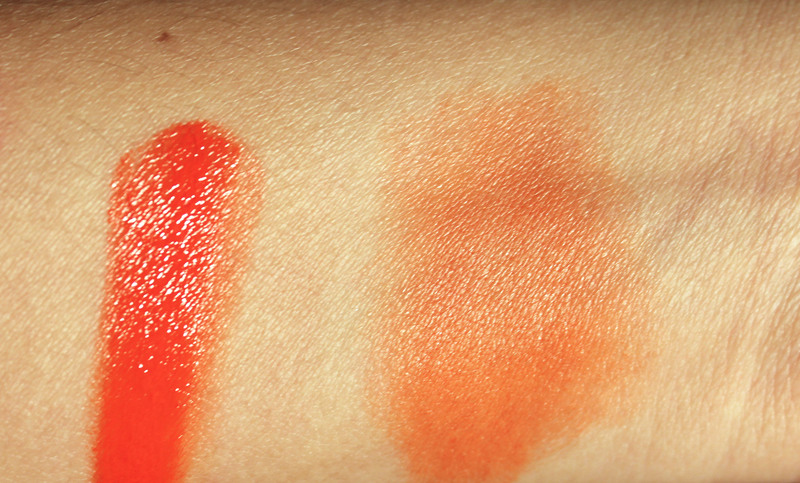 Mac’s Ruby Woo is almost a perfect dupe for RiRi Woo. 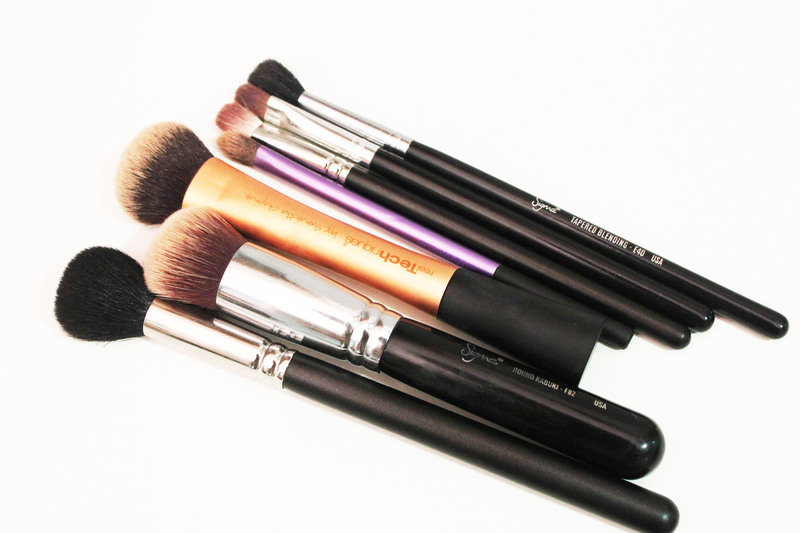 So here are the brushes I take… sorry about the dirty brushes 😛 … I take a buffing brush for foundation (can be skipped), a powder brush, a brush for contouring and blush (mac 109), concealer brush (can be skipped), and three eye brushes – shader, crease and blending brushes. For removing my makeup at the end of the day I just take cleansing wipes with me. It’s easy to use and easy to carry. I also take a cleanser preferably a exfoliating scrub just because if you’re out the whole day you’re face would need a thorough cleansing. Otherwise if I’m gone for just a day or two I avoid taking any other products. I feel I can totally live without doing an elaborate skincare session for a couple of days. All the makeup products and brushes fit snuggly in a small makeup bag and I’m good to go! 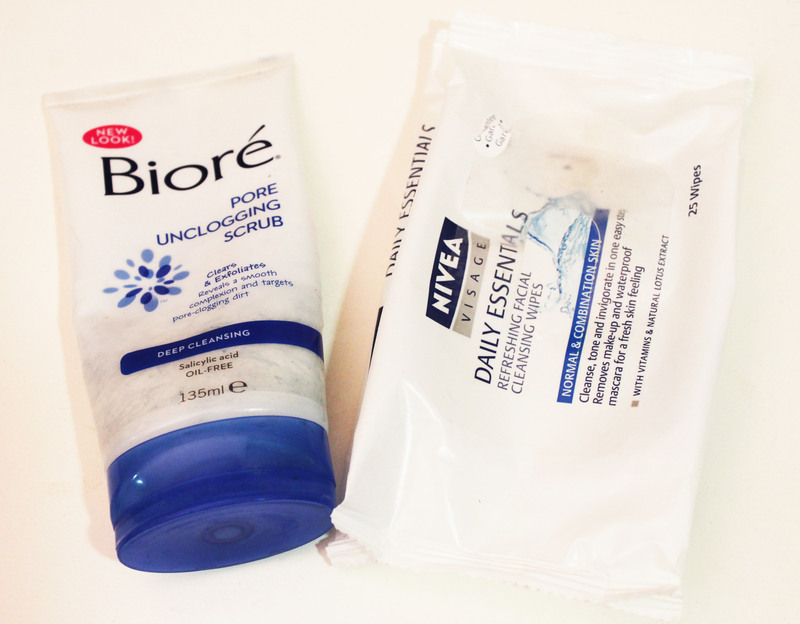 I have to take the cleansing stuff separately though. I’d love to know what you guys like taking with you while going on a short trip? Calling out to all the beauty addicts out there and everyone else! I finally started blogging! Please follow me on bloglovin! It’s an awesome site to promote your blog! It’s a lipstick… It’s a lipgloss…. no its Rimmel’s Apocalips!!! 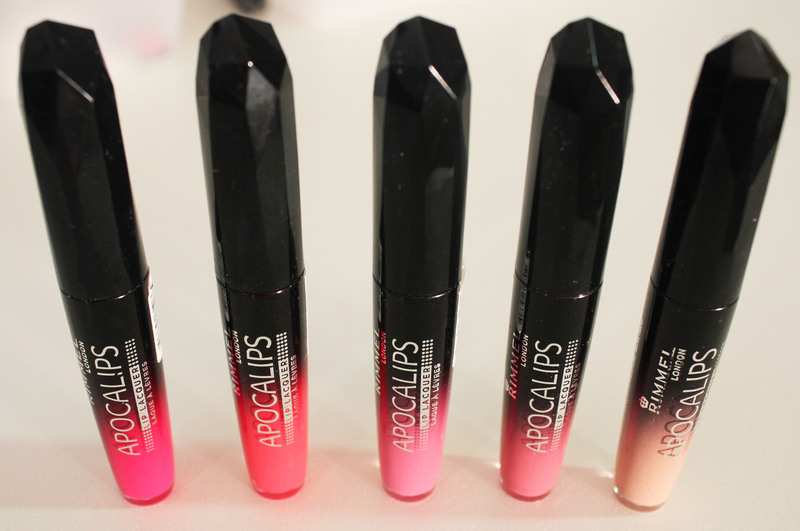 Today I’ll be talking about these lipstick-lipgloss hybrids by Rimmel London called the Apocalips lip lacquers (A$15.95/5.5mL) which have been all the rave in the beauty community lately. They’ve just hit the Australian market beginning of this month I’ll say, even though they have been around in the UK for quite awhile now and then the US; but it’s nothing new that we almost always get everything last in Australia! Anyway the highlight of this post today is that I LOVE THIS PRODUCT! It’s the perfect combination of a lipstick and a lipgloss which is great because I for one am NOT a huge fan of lip glosses! I love the look of luscious lips that lip glosses are intended to give, which is a huge dilemma for me because I can never make lip glosses work. I feel they are sticky and they don’t sit well on my lips. 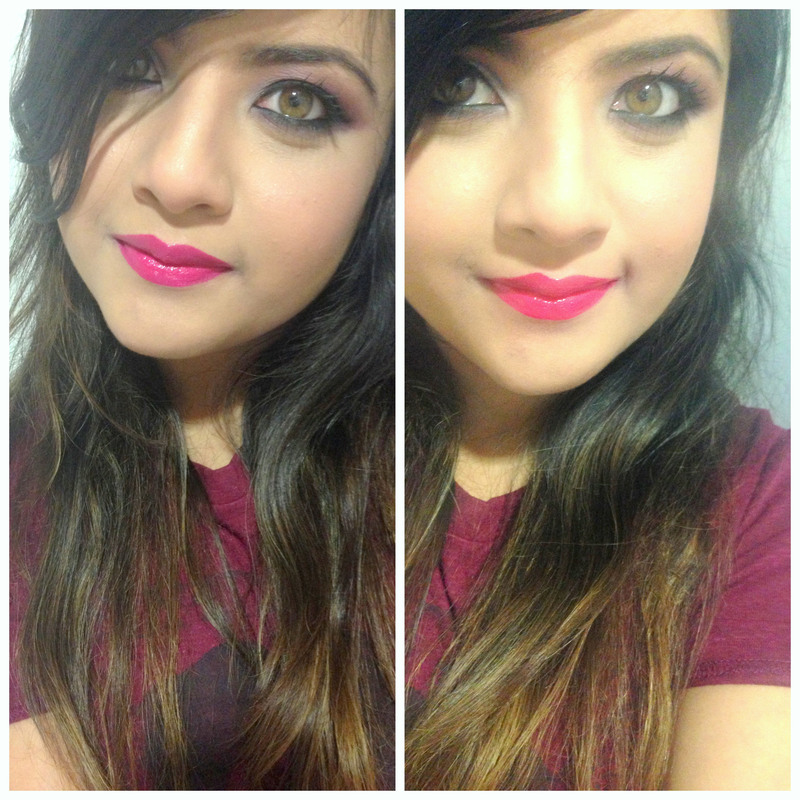 So these Apocalips lip lacquers are a Godsend for me! $15.95 might seem like a hefty amount to pay for a drugstore lip product but that’s the way it is Australia, makeup is quite a bit more expensive than the US or the UK. Priceline is always having amazing sales however. I actually got mine for 50% off. At the moment I think they are having $3 off which is not bad either. 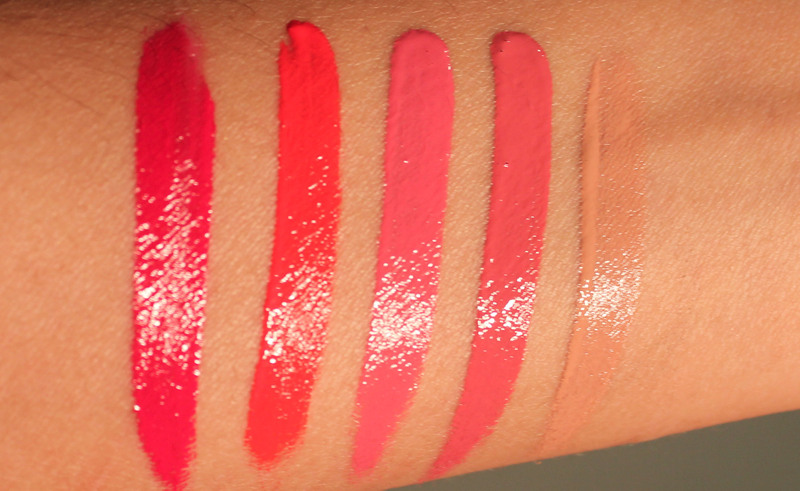 Why are they a hybrid lip product you may wonder? Well they are part lipgloss because they are in liquid form and they give you that glossy and luscious finish to your lips. They are part lipstick because they are ‘OPAQUE’ my friends! 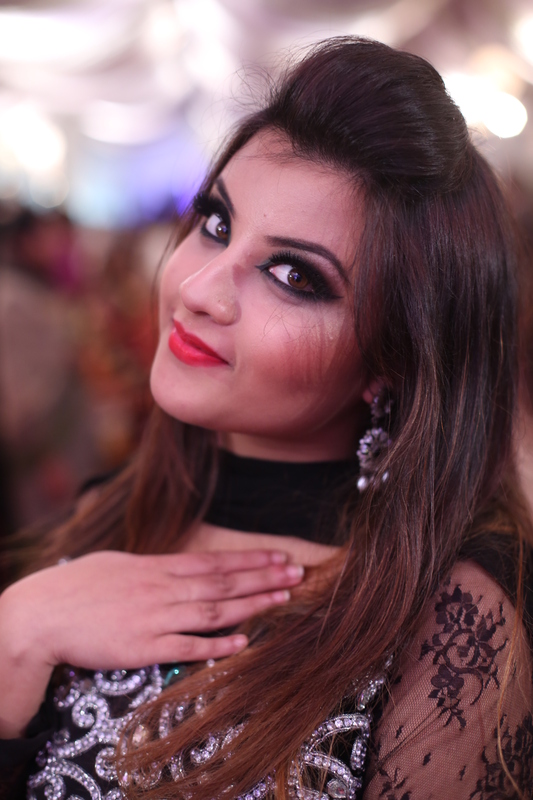 They are thick and bold in colour with none of the stickiness or patchiness of a lipgloss. This is a 2 in 1 product that works beautifully and saves you the energy and time of applying and extra product on your lips. The shades Big Bang, Luna, and Galaxy, that are not available in Australia, can be purchased at ASOS.com. Currently they are reduced to $7.01 which is a bargain! I just bought the first five shades mentioned above. The applicator is also quite fascinating. Its the traditional doe foot applicator but with slight twist. As you can see below in the photo, the applicator has an indentation in the middle. This allows the applicator to hold more product so that you don’t have to constantly go back to get more product. I think that’s brilliant! WARNING! These lip lacquers smell awful. I don’t usually have a problem with heavily scented products as long as its nice but this scent is very unpleasant and extremely strong. Just a word of caution for people who are sensitive to smell, the scent might be too overwhelming for you guys! 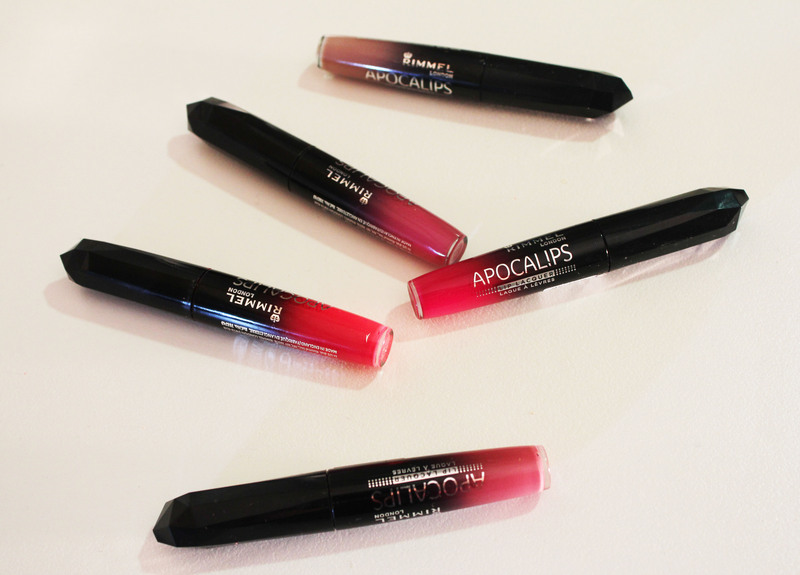 What are your thoughts on the Rimmel London Apocalips lip lacquers?